Well done Mundaring Christian College for an amazing day of Tee Ball. 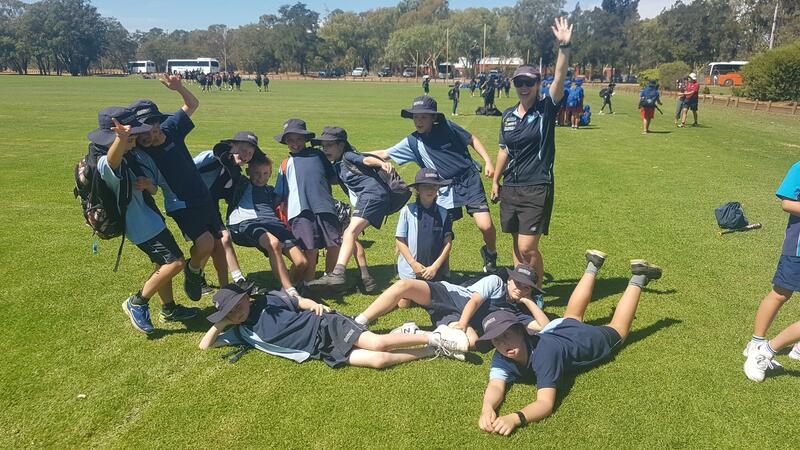 Eleven students represented Mundaring Christian College in this year's WACSSA Tee Ball Competition. We had ten Year 5 boys and one Year 5 girl participate. I would like to give a special mention to Sophia D. who, despite being the only female in the team, was determined to participate in a predominately male-dominated competition! Mundaring Christian College came 2nd overall (six teams in total), and every student gave 100% and showed amazing sportsmanship throughout the day.